Is Dubai World City Airport Really Needed? Dubai World City Aiport, also known as Al Maktoum International, under construction to the south of Dubai is slated to become the world’s biggest airport when it finally begins passenger operations. But… Dubai’s own airport, Dubai Internation Airport, has found it’s passenger numbers falling month after month, leaving many to ask, is Al Maktoum International even needed? What is Dubai World City Airport? It will do this with five runways, and logistical systems to allow four planes to land or takeoff at once. Additionally, its strategic location in between Dubai (Emirates hub) and Abu Dhabi Airport (Etihad Hub) makes it ideal for the growth of the region. In fact, many have speculated that its size and location makes it the perfect hub for a rumored Emirates and Etihad merger. This news has been denied frequently, but anything is possible in the future. Despite being denied by Emirates, an Emirates Etihad merger could still one day be on the cards. But recent results at Dubai International Airport have kind of made this plan a tad unrealistic. What is happening at Dubai International Airport? By November 2018 at Dubai International Airport, just over 81.4 million passengers arrived and departed the airport, resulting in a slow down in passenger growth and falling their average by 0.6 million. 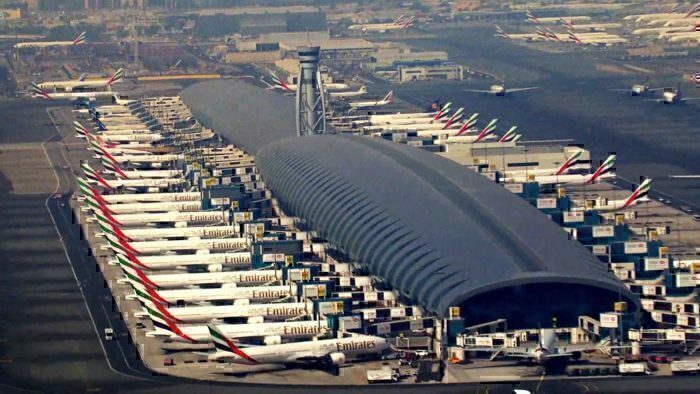 DXB is the world’s third busiest airport. However, there is one area that Emirates is expanding into that might provide a passenger numbers boost. Africa is a huge revenue opportunity for Emirates, and their renewed focus on this market may actually save the struggling airport. These new up and coming countries in the region will see an explosion of middle class with money to travel in the coming years (as the quality of life continues to improve) and in turn, Dubai World City is well suited to capitalize on this expansion. What do you think? Is Dubai World City Airport even needed anymore? Dubai is a great city. The government needs to bring down the prices if transport, hotel accommodation and remove the vat in order to attract tourist from the subcontinent.